I love fall because you can incorporate pumpkin into almost anything! I love pumpkin and am happy its only around during the holidays because I have a feeling I would indulge too much if I could have it whenever I wanted. I’m a busy mom and I usually never have time to make breakfast for myself, half my fault and half having 2 crazy kids to get cleaned, dressed and fed in the mornings! Can anyone relate? I have no problem getting my 3 year old some cereal or oatmeal but when it comes to myself I’m usally grabbing some coffee through the drive thru on the way to work. 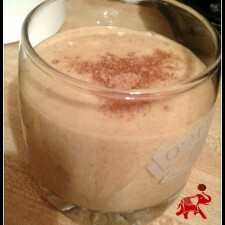 I recently came across a recipe for a pumpkin breakfast smoothie and had to give it a try. It sounded delicious and super simple to throw in the blender and take on the go. It’s loaded with great nutrients and coconut oil to give you some extra energy in the mornings. Plus, if your a nursing mother, like myself, there is oatmeal in this smoothie which has been shown to help with your milk supply, as well as coconut oil! Add all ingredients together in a blender and blend until smooth. Add more milk, if needed, to reach desired consistency. Pour into glass and sprinkle with a bit of pumpkin pie spice. Add whipped cream on top, if desired. This is an easy recipe that only takes a few minutes to make. 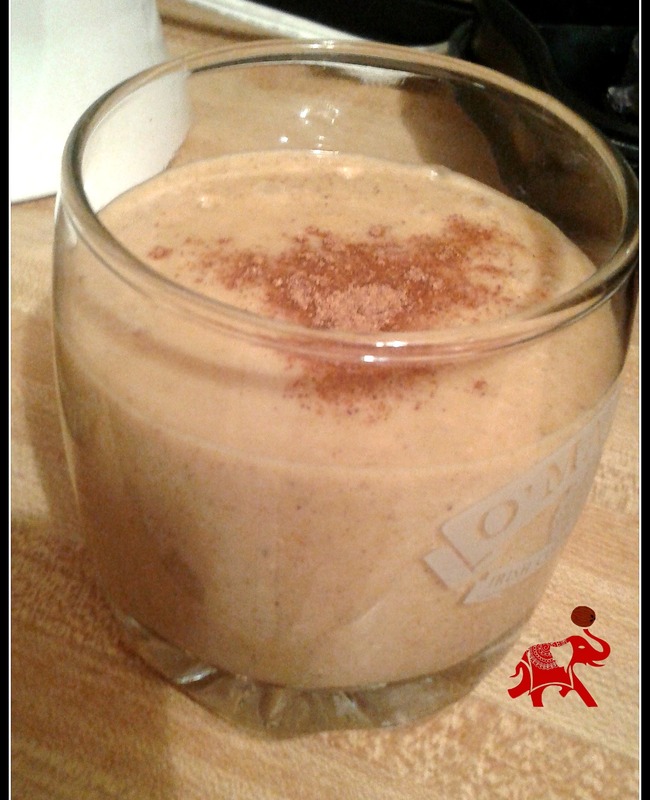 I enjoy this smoothie because it not only tastes like pumpkin but has other nutritious ingredients like oatmeal ,bananas and coconut oil. This is also a great recipe for people following a vegetarian or vegan diet, just omit the whipped cream! Let us know if you have tried this recipe!